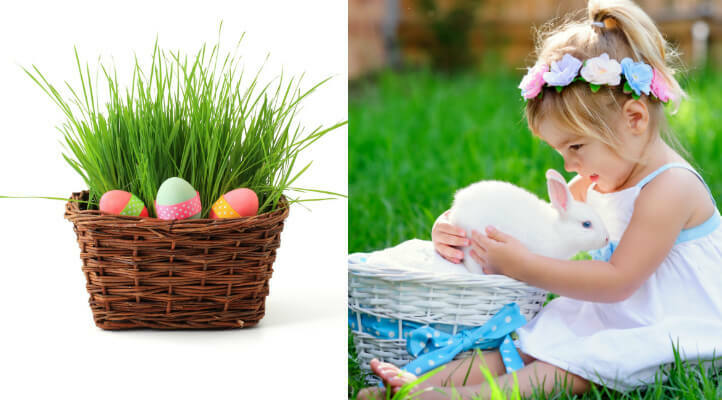 Natural Easter basket ideas to help you create a healthy Easter basket your kids will love! Every year I love creating a fun and special Easter basket for my kids (including the teens!). 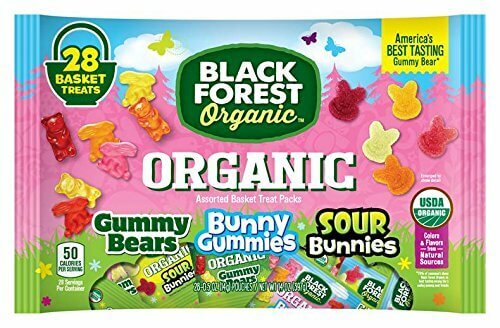 There are so many options for Easter basket stuffers, I always try to keep it as natural as possible. For toys, I look for wood, silk, and other natural fibers. And as far as the candy goes, we always include some, even though I try to keep it minimal. We always include some chocolate, but we avoid candy with artificial dyes and high fructose corn syrup. If you’re looking for natural Easter basket ideas, here are some of the best ones I’ve come up with! 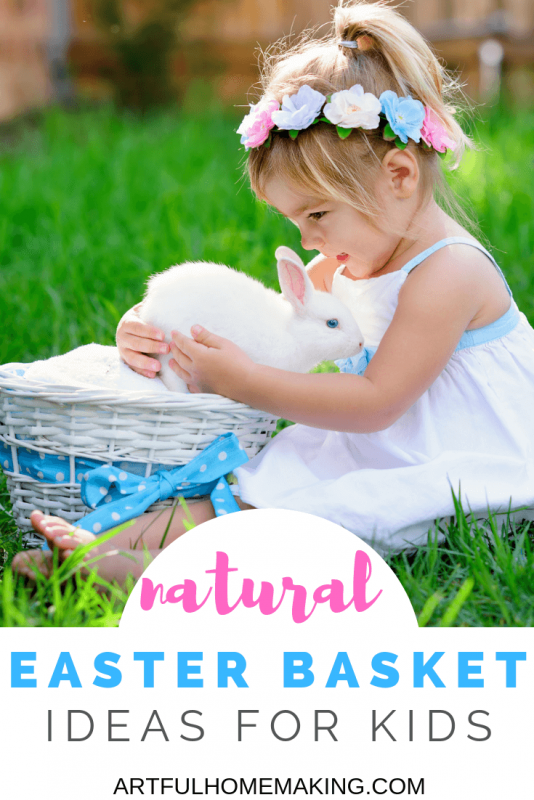 Years ago, I found the cutest natural Easter baskets for my kids, and we’ve been using them ever since! I also picked up some natural paper basket filler in a few different colors, and we just reuse it year after year. It’s worked well for us! 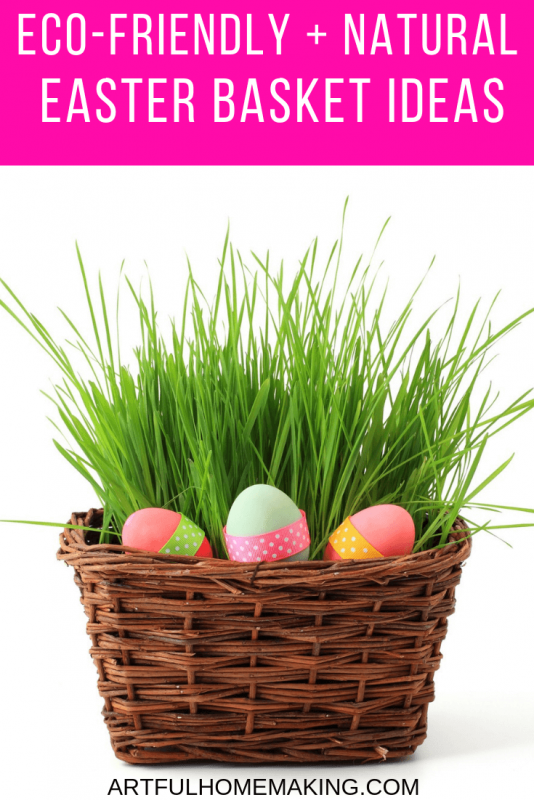 You can also line your Easter basket with sprouted wheatgrass (here’s how to grow it), which would be fun (but will take some advance planning). 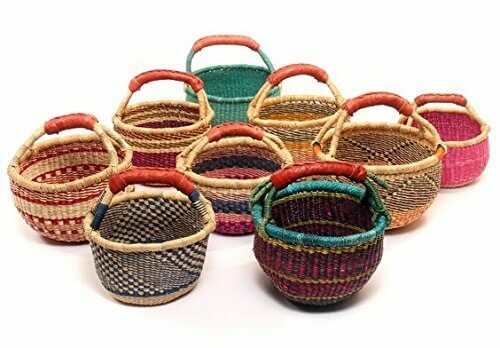 We love these mini Bolga fair trade baskets! We have them in a couple of sizes, and these small ones would be perfect for an Easter basket. You can also get them in a plain/natural shade (find those here) and they’re useful for so many things! I’ve always preferred natural toys to plastic ones. Whenever possible, we look for natural wood toys and toys made with natural fibers. 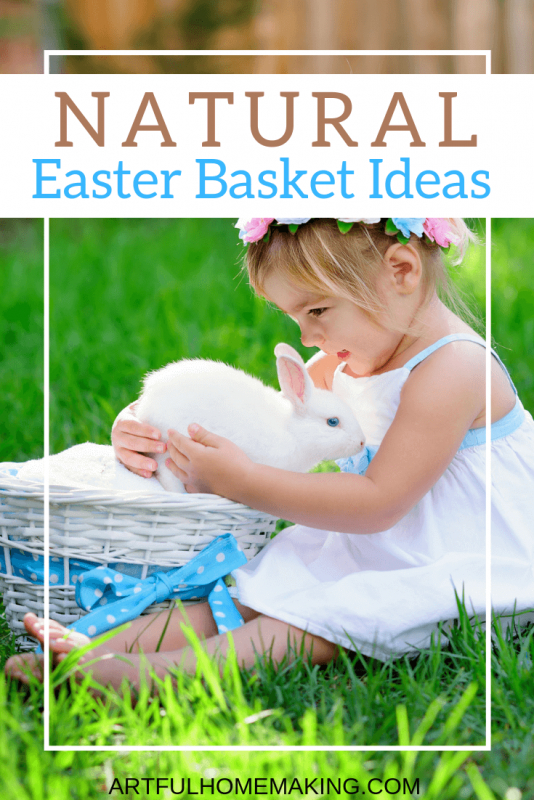 Here are some natural Easter basket ideas for kids who love creating things! If your family dyes Easter eggs as part of your Easter tradition, here are some natural ways to dye Easter eggs. Thanks so much for stopping by! I hope this list has been helpful to you as you create a natural Easter basket for your children this year!